Rusty, musty, or dusty? Bring it to the event, and see what it’s worth! Caroline French, of Caroline L. French Antiques, will appraise your items. $5 per item, 3 items for $10. Baked goods for sale. Farmington Historical Society t-shirts and caps for sale. 50/50 Raffle. 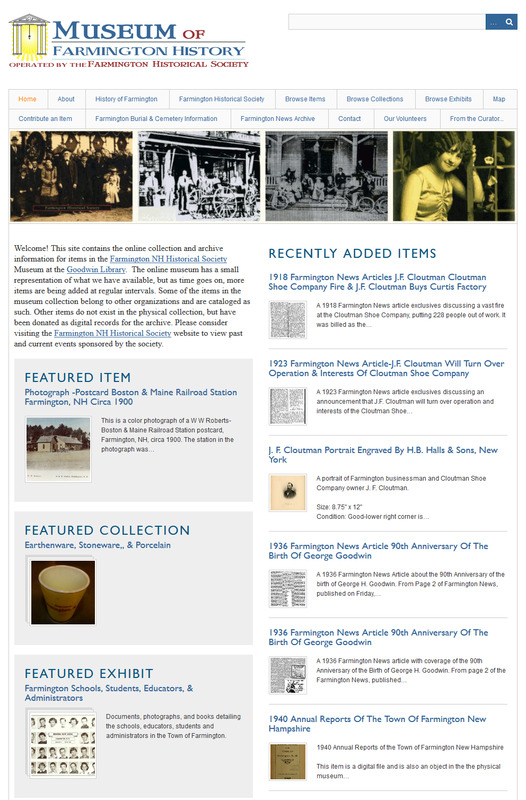 All proceeds from this event go to support the mission of the Farmington Historical Society and support the care of the collections of the Museum of Farmington History and allow for the continuation and further development of the online Museum of Farmington History. 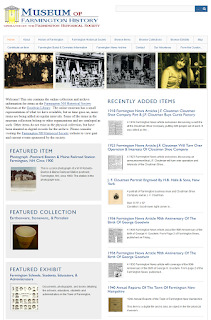 Furniture and other large items may be appraised by photographs; there is no need to bring them to the event. Please take clear photographs of large pieces: front, back, top, and bottom. Please bring close ups of any signatures, inscriptions, information plates, or other distinguishing features. No guns, knives, coins, or stamps, please! If this event is successful and there is interest we will consider getting a second appraiser for a future event who specializes in these items. 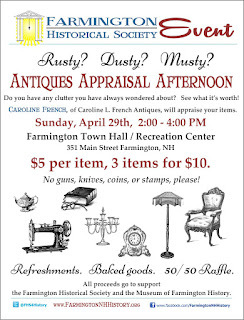 Please express your interest to the desk when you come to the event or e-mail the Farmington Historical Society FarmingtonNHHistory@gmail.com about having these types of items appraised at a future event. For more information and details about participation in this event, please email us at FarmingtonNHHistory@gmail.com.